Healthcare is one of the biggest industries in the United States that has already made it to the trillion dollar club. As per the World Health Organization (WHO), the US spent more on health care per person than any other nation in 2011. Like any other sectors with huge economy, this trillion dollar industry is always under threat from people with malicious intents. According to an estimate by FBI, health care fraud costs American tax payers $80 billion a year. Other than usual health care fraud like fake billing, duplicate claims, etc., threats are coming from the internet lately. In 2017, WannaCry malware attack badly affected the hospitals, rendering several computers and devices encrypted. More and more dependency on information technology has opened doors for cyber criminals to steal the most valuable asset of any healthcare facility: the patient records. Other than outside challenges, healthcare facilities have many operational challenges to overcome. Patient identification and patient record maintenance is one of the biggest challenges in any healthcare facility. There have been incidents where patients had to lose their life because of improper identification. Following is an excerpt from US Food and Drug Administration Report. This is one of several examples that shows how identification process plays a vital role and identity management becomes a crucial job in a healthcare facility. Unconscious patients cannot produce an ID and traditional patient tagging is also not free from flaws. It has possibility of clerical errors in tagging a patient, producing a wrong tag or a mismatch between patient tag and hospital records. Each possibility can potentially lead to improper identification, incorrect drug administration or wrong blood transfusion, which can become life threatening for a patient. Biometric identifiers are measurable unique traits of an individual that can be divided in two categories: Physiological and Behavioral. Face, fingerprints, iris, retina, DNA, etc. 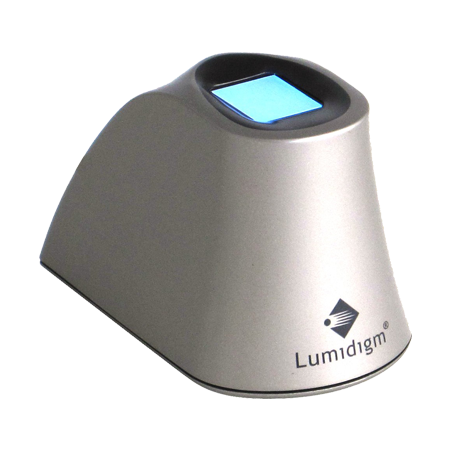 come under physiological biometrics while typing rhythm, voice, and gait can be categorized in behavioral biometrics. 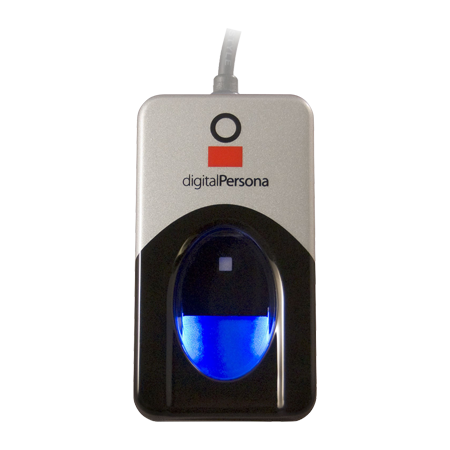 Biometric characteristics are unique to an individual and can be used to positively identify him or her, for example fingerprints can be used to identify a patient or donor for organ transplant, blood transfusion, etc. Biometric based identity management is efficient, more reliable, faster and often cheaper than the legacy or manual systems. Biometric identification can greatly benefit hospitals due to the higher number of identification procedures performed than other healthcare setups. Emergency cases are often unconscious and cannot produce an ID. Traditional patient tagging is full of vulnerabilities and an error can lead to loss of life. Since an error in identification of a patient can cost life, keeping this process free from flaws becomes mandatory. Biometric identification can help achieve this level of accuracy in patient identification. Once patient identity is established with biometric, there is no possibility of errors in identification. Patient records can be fetched immediately when they are maintained with biometric identity. There is no need to carry ID or papers for future visits to the hospital once the patient identity is established with his or her biometrics. It can benefit both inpatients and outpatients equally. A hospital has many areas where only doctors and staff should enter. 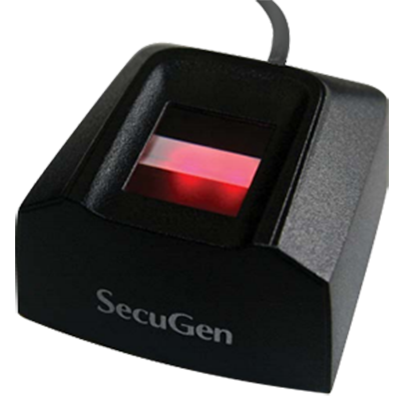 Biometrics can also help with centralize hospital-wide access control to deter unauthorized access. Biometrics authentication to login to PCs, servers and other devices, can safeguard patient records, deter fraudsters/hackers and help stay compliant with government regulations. Growing number of health issues and life-style diseases have made people to seek cure in alternative medicine. Increasing awareness has also played a role in alternative therapies gaining popularity. Chiropractic is one of the alternative systems of healing that diagnose and treat common spinal misalignment that can occur from lifestyle or injuries causing pain, discomfort and degenerative conditions. Increasing number of patients results in increasing number of patient records. Keeping track of patient records, number of sessions provided, next appointment dates, etc. become difficult in a manual system. Chiropractors can leverage biometric identification not only to expedite their patient identification process, but also attend more patients in a day. This will help not only with business growth but also enable more people to attain wellness in a day. Blood transfusion has become a day-to-day procedure in any medium to large healthcare facility. Along with independent blood banks, many hospitals have in-house blood bank to expedite blood collection and distribution, however, the process goes through time consuming clerical and administrative formalities on a traditional donor/receiver ID system. A little error in identity management of donor or receiver can pose a serious threat to a patient’s life. Biometric identification can overcome challenges of a traditional identification system in a blood donation center. Positive identification of a donor is a crucial aspect in any blood donation center; it can potentially introduce blood with abnormalities if managed improperly. Once a donor record is created and maintained in the system with biometric identifiers, it is impossible to fake the identity. The record will retrieve instantly on biometric scan of the donor, without producing any ID card in the future. Use of biometric characteristics as unique ID instead of demographic data saves from typos and clerical errors. Identity management with biometrics not only cuts down chances of human errors but also makes whole system more reliable and efficient. Once a donor records is in place with his/her biometrics as unique ID, it is nearly impossible to retrieve an incorrect record. Many jobs these days require people to sit at computers for hours, which results in poor calorie consumption and obesity. Growing awareness has made people to take proactive steps towards health and pursuit of active lifestyle brings them to fitness centers and health clubs to compensate their inactivity at work. Health clubs are often large facilities with a number of sections for different activities like various sports, fitness training, exercise, yoga, etc. Managing a facility this large with a number of members can be challenging. Biometric identification can help with card-less member check-in and lay a centralized access control throughout the club. Biometric identification can make sure that members have access only to the facilities they are entitled for; there is no need for supervision or ID verification. This helps get rid of inefficient plastic or paper cards for membership management and saves environment as well. Unlike health clubs, wellness centers help people to regain their health with natural methods, rather than activity. Modern lifestyle has made people to stay away from nature and things that used to be naturally available, like fresh air, and food without chemicals. Rising pollution, low quality food and unhealthy habits introduces toxins in body and wellness centers can help detox it. Challenges in a wellness center are more or less same as challenges in a chiropractic center. They have to identify patients and maintain patient records. Different members/patients may be entitled to different plans or packages, these details can be linked with member biometrics and records can be instantly retrieved and updated with each visit. Biometrics can help lay access control to different sections of a wellness center, where only staff or specific members are allowed. While dental structure itself has served forensics and personal identification historically, it is yet to claim its position in mainstream biometrics; however, dentist can take advantage of biometric identification and address a number of challenges they come across every day. Patient identification, detailed records like procedures performed or number of sessions provided can be associated with biometric identifiers of patients. Usual applications like access control and security comes as a plus with implementation of biometric identification. Dentists have to communicate with many dental labs for implants and other dental material and these specific details can also be maintained with biometric identifiers of a patient. An allergist is a qualified individual, who treats immune system disorders such as allergies, asthma, inherited immunodeficiency diseases, and autoimmune diseases. Since there can be several kind of allergies and several of substances causing allergies, allergists have to deal with tremendous amount of details. Managing patient records, medical history, prescription, etc. can often be challenging. Manual recording of patient-specific information and retrieving records on future visits can be a time intensive process on manual mode. Biometric identification can expedite the process with maintaining details like patient prescription and medical history. 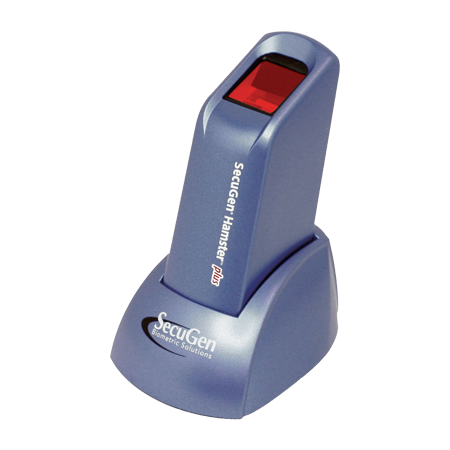 Biometric identification can help an allergist to concentrate on patients and provide care rather than processing records. Healthcare professional have to spare a lot of time on identification, record keeping and retrieval of patient records. This valuable time could actually be spent providing care and treatment to other patients. Security and access control are the other important needs in a healthcare facility. In larger healthcare outfits like hospitals and health clubs, access control becomes imperative. Patient records are sensitive and their safety is a regulatory requirement. Implementing Biometric identification can address both, physical access control for computer/server rooms and logical access control for login to the workstations and servers. Dependency over the information technology has opened doors to threats from the internet. WannaCry ransomware attack of 2017 left world stunned. This attack brought down 70,000 devices of UK’s National Health Service hospitals, including computers, MRI scanners, blood-storage refrigerators and theatre equipment. With these many threats around, healthcare sector cannot leave security to chance, can it?